Now that Halloween is over, it's time to think about Thanksgiving! Not sure where to start? First, be sure to check out our collection of Thanksgiving Activities for Kids. Happy Playtime from Leanna of All Done Monkey. You can find her on Facebook, Twitter, Pinterest, Instagram, and G+. Halloween has come and gone! We are now thinking about Thanksgiving here in the US. I wanted to do a craft with the kids for this month's All Things Kids Series but was not sure what. We have been enjoying paper bag crafts. So we ended up making classic Scarecrow Paper Bags. 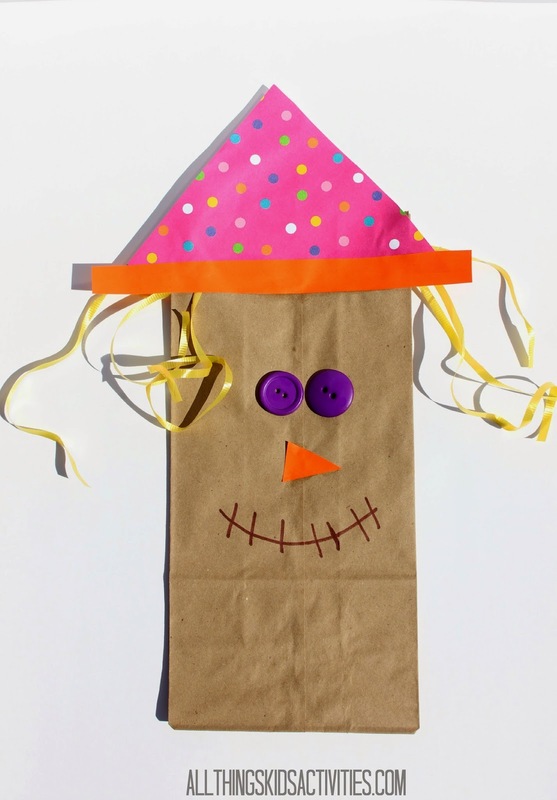 A fun craft for kids of multiple ages. And a great way to get in the spirit of Fall and the Thanksgiving holiday coming up for us.